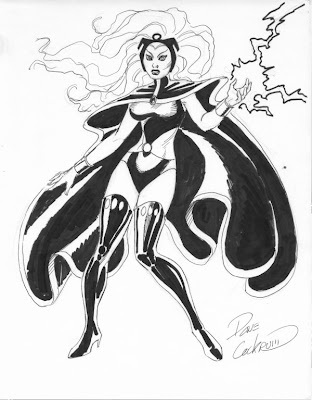 No one draws Storm like her creator, the much missed master Dave Cockrum! 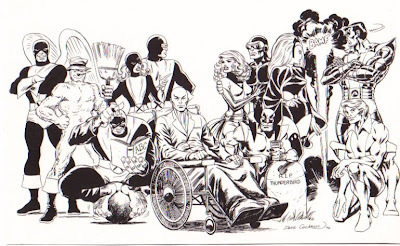 The whole X-gang is here in this piece, original 5 plus the all-new, all-different team! 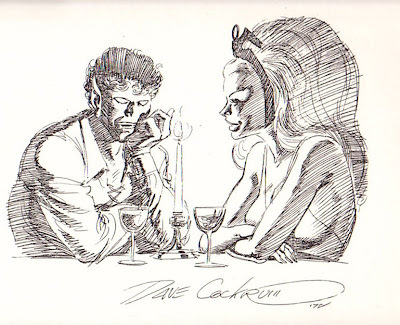 Storm & Nightcrawler enjoy a candlelight dinner together in this delightfully evocative piece. I love the mood conveyed here, how Cockrum delicately renders the lighting. Rest in Peace, Dave! I will always be indebted to you for the legacy you left behind! 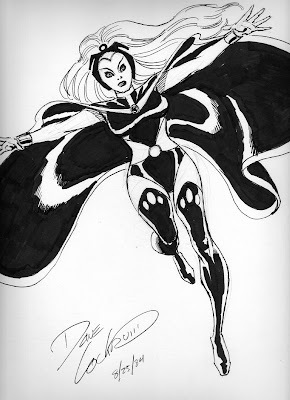 Dave was my dear friend and is the frequent subject at my blog… come visit.